A Tory-led government’s defense budget would not hit NATO’s recommended target of 2 percent of GDP after the general election, a defense and security think tank warns. A report, conducted by the European Leadership Network (ELN), predicts Britain’s 2015-16 defense budget will likely drop to 1.88 percent of UK GDP – its lowest level since the fall of the Berlin Wall. The right-of-centre think tank’s forecast is backed by government sources who say the Tories’ 2015 election manifesto will only vow to maintain current spending levels on equipment and the armed forces’ headcount. The findings of the ELN'sreport, published Thursday, will likely irritate Conservatives and military chiefs who have lobbied intensely against further cuts to Britain’s military spending. In contrast to Britain, Russia reportedly plans to increase its military spending by 33 percent in 2015-16. 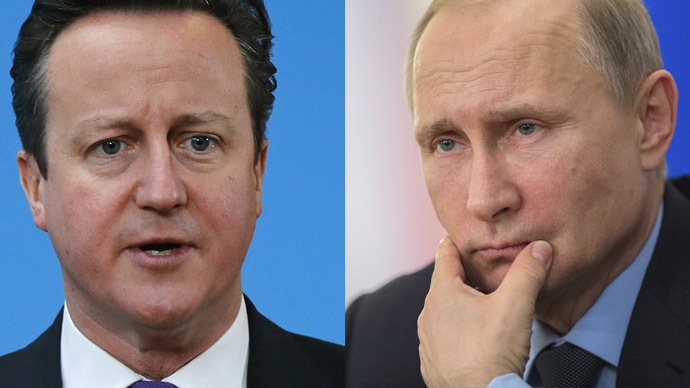 As Britain and the West’s relations with Russia remain fraught, British MPs warn the challenge posed by Russian President Vladimir Putin’s assertive foreign policy, and the threat of Islamic State have bred the “most dangerous” global climate since the mid-1990s. The ELN’s report said allied states should“share the burden”of defense spending, particularly as global tensions remain high. The think tank's research analyzed defense spending in 14 different NATO member states, and concluded that only Estonia will achieve the 2 percent target in coming months. The report insisted “burden-sharing is becoming a necessity, not a choice.” It said none of the NATO member states other than the US have sufficient public support or funding to modernize and reform their militaries. The ELN expressed doubt over whether Britain will “follow through” on vital defense equipment purchases in 2015-16. It concluded “the credibility of any European pillar” of NATO is in jeopardy. Sir Gerald Howarth, a former UK defense minister, warned it would be “utter folly” if the next government fails to meet NATO’s 2 percent target.